Wintergreen is a scent we commonly associate with the holidays, but the essential oil is so much more than that. Wintergreen essential oil is credited with containing mild pain-relieving properties and anti-inflammatory properties that make it soothing when in recipes using wintergreen essential oil. When diffused, the oil has an invigorating aroma, which becomes the perfect pick-me-up any time of year. 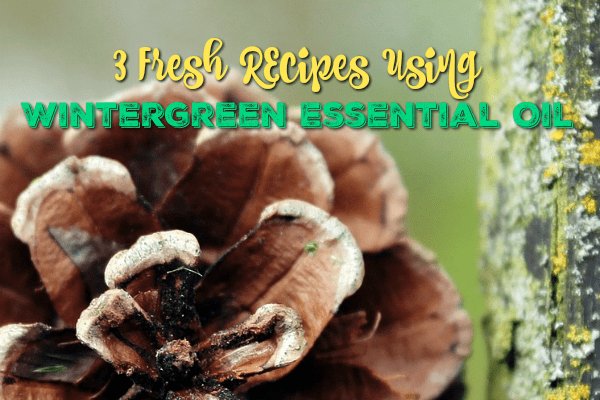 These three recipes using wintergreen essential oil are my favorite way to use my wintergreen essential oil, but the sky is the limit with this versatile oil! 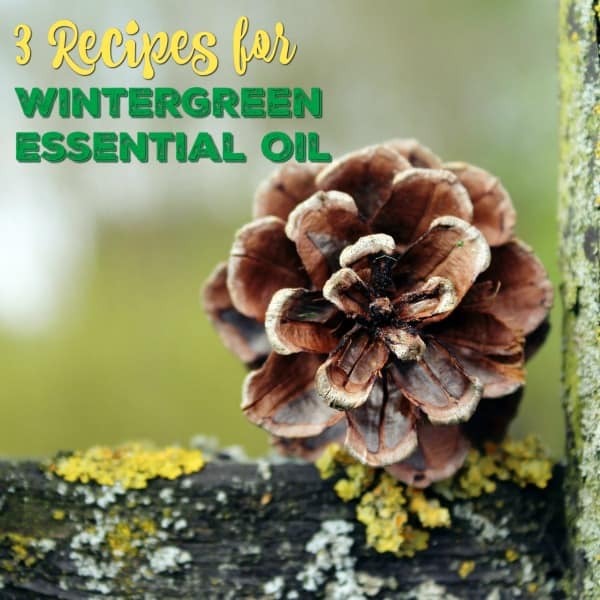 Add these simple recipes using wintergreen oil to your essential oils cabinet today! The fresh scent will soon become a favorite in your house. Wintergreen is reported to have anti-inflammatory and mild pain-relieving properties. This makes it an ideal choice as an addition to a salve made to soothe sore muscles. Rub the salve into the skin until the salve is completely absorbed. Heat the wax and carrier oil together on a double boiler until melted. Add your essential oils one drop at a time and mix carefully. When the mixture cools slightly, add it to an amber glass jar for storage. Do not use until the mixture is solidified. If you’d rather skip the hassle, instead of using the oils listed above, simply add 50 drops of Rocky Mountain Oil’s Pain Ease blend to your jojoba oil and beeswax. For an invigorating wintertime pick-me-up, drop these oils into your favorite diffuser. Wintergreen’s ability to reduce inflammation and relieve mild aches and pains make it a soothing addition to headache blends. Fill the rest of the bottle to the top with fractionated coconut oil. Shake the bottle to mix the oils before applying to the skin. If you don’t have all of these oils, Rocky Mountain Oils offers an essential oil blend designed to ease the pain of migraines. These simple recipes will help you get the most out of your wintergreen essential oil. 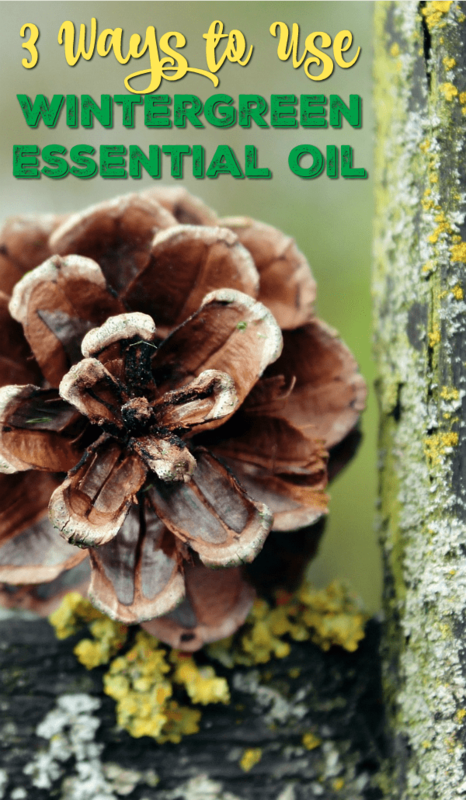 It just might become your favorite oil to use! Great ways to use wintergreen essential oil. I didn’t know it has so many great properties. Thank you for sharing with us at Fiesta Friday! Great additions to the flavor of the recipes! Happy to see you here at Full Plate Thursday and thanks so much for sharing with us. Alot of great ideas here – Thanks for bringing this to Fiesta Friday this week! I have always used versatile as something like a Freshening Diffuser, but I never knew it had so many healing abilities. My attention was always captured by its pleasant smell which reminded me of the holidays..